What About Steven Anderson? | What About Steven Anderson? – Who is Israel? Pastor Matt Furse has been studying Eschatology for over twenty years. A few years ago, he stumbled across a DVD documentary that was about to be released, entitled, “After the Tribulation”. 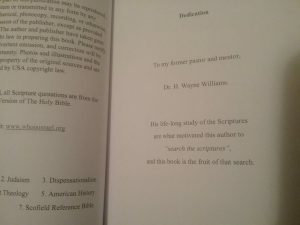 Although Matt did not agree with the entire documentary, he was pleased with the solid emphasis on the King James Bible, as well as the over-all concept and quality of the DVD. It was certainly the first of its kind. 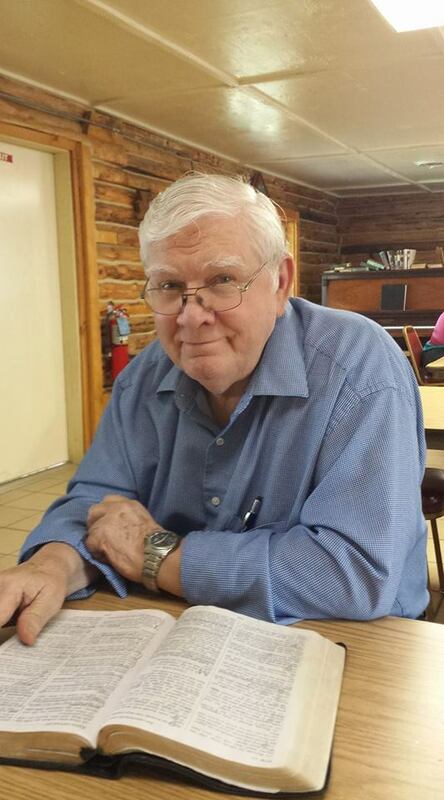 In the summer of 2013, Pastor Furse’s family happened to be vacationing in Arizona, and he made it a point to visit one of the producers of this DVD, Steven Anderson. The Furses attended a Wednesday night church service at the Faithful Word Baptist Church, pastored by Steven Anderson. Afterwards, both pastors visited about their views on end time events, as well as their differences in some of the details. Pastor Furse told Pastor Anderson that, “…the (Pre-Trib; Post Trib) debate will never be resolved until we first answer the question, ‘Who is Israel?’…” Although they cordially disagreed on some of the details of “Post-Trib, Pre-Wrath” events, Pastor Furse left, with the feeling that they held a mutual respect concerning the subject of Eschatology & Zionism. 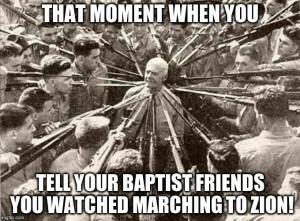 About a year later, Pastor Anderson contacted Pastor Furse and asked him if he would like to be interviewed for their new documentary, “Marching to Zion”. Pastor Furse agreed to the interview, and so, he met with the other producer, Paul Wittenberger, and eventually, “M2Z” was produced. Both Pastor Matt Furse and Pastor Steven Anderson are independent Baptist pastors. The word “independent” means just that— independent. Neither man answers to the other, nor do they “pastor” each other. They both claim to love the King James Bible, and they both demonstrate a desire to win the lost. It is for certain that they do not agree about everything, and yet— they don’t have to, either! One day, both pastors will have to give an account of themselves, to the Lord (Hebrews 13:17). Yet, another “Independent Baptist”, itinerant preacher, by the name of Sam Gipp, has tried to refute the “Post-Trib, Pre-Wrath”, end-times theology that both Pastors Furse & Anderson have agreed on. After M2Z was produced, Gipp made a foolish video of himself (in a nursery setting) attempting to refute the M2Z documentary. In Gipp’s video, one can clearly see that he is using a well-worn Scofield Reference Bible, as his defense. 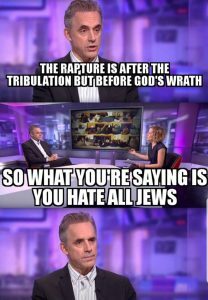 Sadly, somewhere along the lines of “standing for the Truth”, certain individuals have exchanged the King James Bible for their “pet theology” doctrines and practices (and, in this case, Scofield’s added notes.) 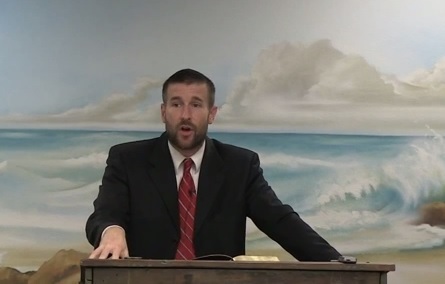 Click here to read more about Pastor Furse’s unfavorable commentary on Sam Gipp. This is a lie! Anyone who has read the whole book, “Who Is Israel?“ knows that there is much more content in Furse’s 348 page book, than in the M2Z DVD. (Not only so, but Anderson & Furse don’t even agree as to whom the “Whore of Babylon” will be—which is a major point in Furse’s book!) 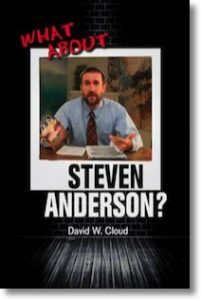 Also in this booklet (supposed to be ‘about Anderson’), David Cloud goes even further in his deception and twisting of Pastor Furse’s own words. Cloud does this by quoting some sensational quotes that Pastor Furse has cited in his book, but Cloud leaves out the original sources (making these sensational quotes read as if they came from Furse, himself— rather than from those cited sources!) …BEWARE of David Cloud and his “fair research”! An Important Note: David Cloud is wrong to claim that Furse is an “Andersonite”. 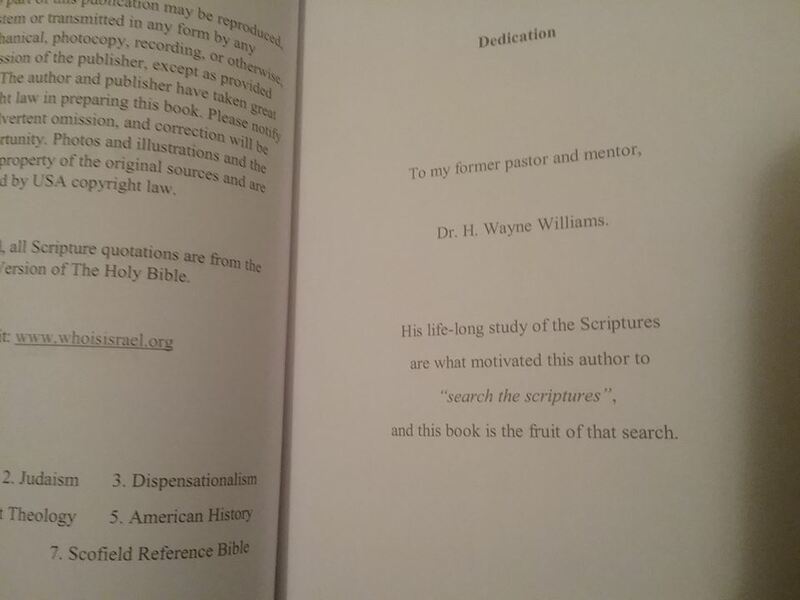 Cloud apparently did not read Pastor Furse’s dedication to Dr. Wayne Williams — Pastor H. Wayne Williams was Matt Furse’s pastor in high school, as well as his “sending church” pastor when Matt was later ordained into the ministry. It is Pastor Williams’ influence that led Matt Furse to understand the correct, Biblical view of Eschatology (vs. “Dispensationalism”) — But instead, David Cloud arrives at the erroneous conclusion that Furse is an “Andersonite” — simply because Matt appeared in the M2Z documentary. Yet, never once has Cloud contacted or questioned Furse about any of this. (This is shoddy & deceptive “reporting” to say the least!) As an “independent” Bible-believer, one must do their own research, rather than lazily letting other men (like Cloud) do it for them! 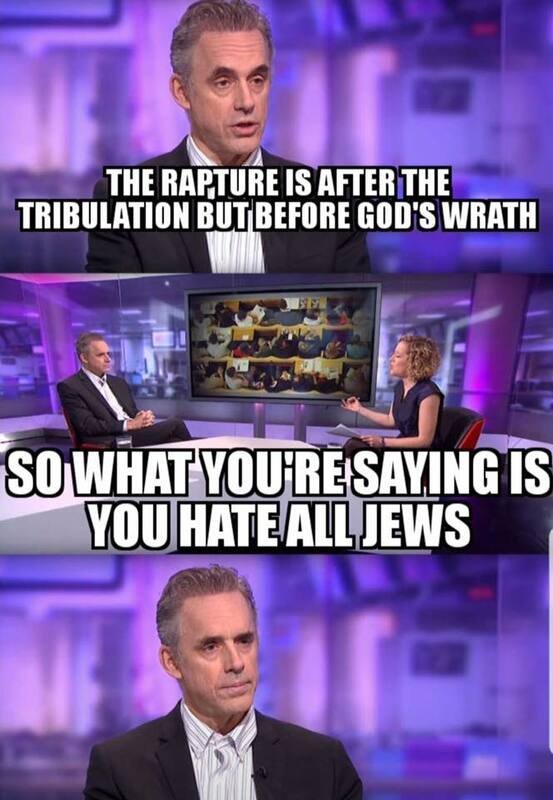 And, interestingly enough, although Sam Gipp and David Cloud are about as far apart in their circles of fellowship & theology as one could possibly get (while still claiming to be “Independent Fundamental Baptists”), they both hold a very high regard for the current, modern state of “Israel”. Odd isn’t it? Both of these men have written & stated negative things about saved, independent Baptist pastors, such as Matt Furse, and they are even willing to separate themselves from “the likes of him”… Yet, they will NOT take a stand against —nor separate themselves from— an unsaved, Christ-rejecting “Israel”??? …Go figure. Pastor Furse desires to preach the Truth, and he appreciates anyone who will boldly take a stand for the Truth, and say what others will not say. 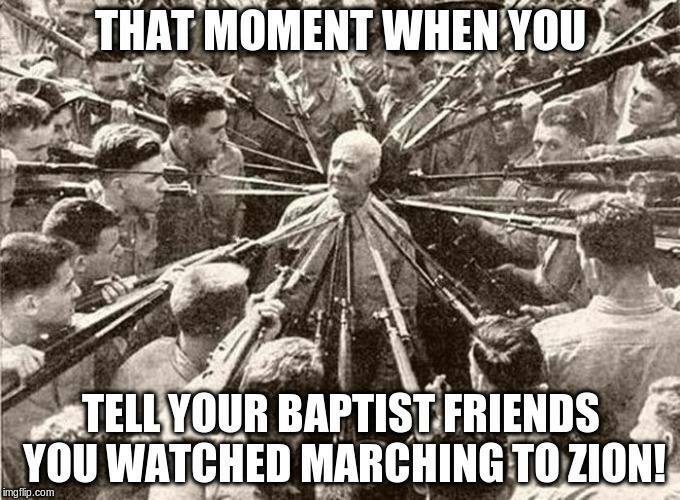 For far too long, too many, so-called, “Independent Baptists” have done nothing but copy each other’s doctrine, instead of researching the Scriptures, for themselves! For this reason, Pastor Furse was grateful for the M2Z video, that Anderson & Wittenberger had produced. However, since 2013-2014, it has been made known that Pastor Anderson has done and said some things publicly (& over the internet) that Pastor Furse CANNOT agree with… However, this does NOT change Matt Furse’s attitude towards the M2Z video, itself. The general information and argument presented in the Marching to Zion documentary still stands on its own, and it still must be addressed. Thank you for your continued stand for the truth even when it is most difficult! While I stand with you against everything Scofield (as shown on our site) I don’t know if I agree with everything from Pastor Anderson. Like you, our teacher to a point for me (I’ve never been pre-trib) was Dr. H. Wayne Williams too! Amen! And, time will prove that many of us have been studying our Bibles, for years, and what we have found is NOT the result of an “Anderson-ite” influence— but just an honest study of the Scriptures.